Who hasn’t wondered what it would be like to fly? Nowadays you can come close! With an abundance of zip line tours cropping up all over the country, you can do your best Superman or Superwoman impersonation. 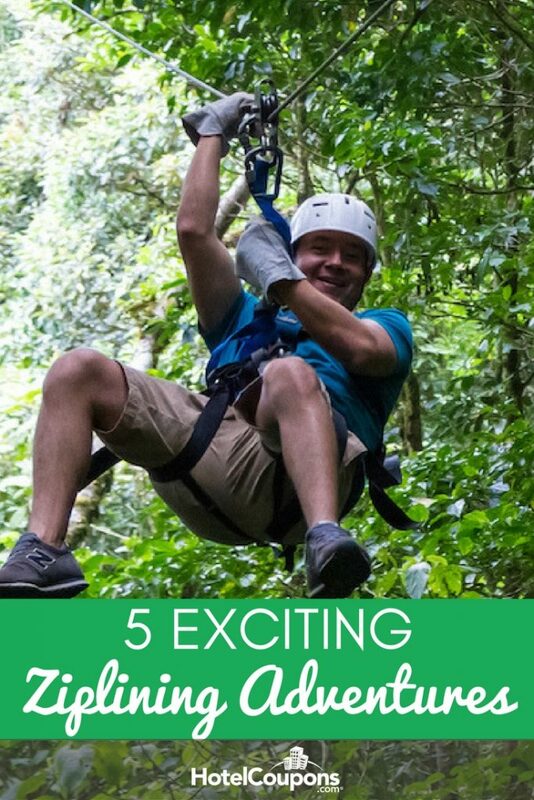 Fly high over the treetops (without worrying about villains) with these 5 exciting zip line adventures below. They are sure to get your blood pumping, but please consult their websites for guidelines on admittance and what to expect from each individual tour as not everyone is cut out to be a superhero. Located in the Hunter Mountain Ski Bowl, New York Zipline Adventures has multiple adrenaline-boosting tours to offer. The Mid Mountain tour is family-friendly and perfect for first-time zipliners. There are four different suspension bridges and six ziplines that’ll have you soaring 60 feet over the beautiful Catskills foliage, streams, and waterfalls. This same course is available for a Night Zip tour where you’ll be guided by moonlight and illuminated tree platforms. You can experience the night sky in a whole new way. The folks at Skyline Eco-Adventures have been helping thrill seekers get their kicks from the start. Their zip line course in Haleakala is the first one ever built in the United States. The 1.5-hour eco-tour combines education and adrenaline. 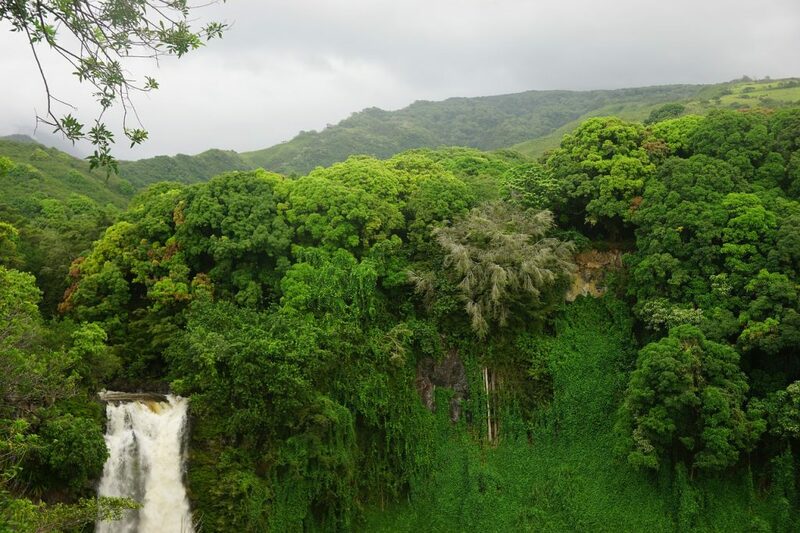 Your guide will teach you all about Hawaii’s natural beauty and culture as they lead you through the forest. The zip line course itself is not for the faint of heart: Five zip lines will send you across canyons and drops of almost 100 feet. There’s even a swinging bridge where you can channel your inner Indiana Jones. It’s “All aboard!” if you want to experience the Soaring Tree Top Canopy Tour. Located on almost 200 hundred acres of the breathtaking, pristine mountain landscape, this 5-hour tour is accessible only by railroad. It’s the longest, safest, and largest zip line tour in the world. You’ll travel for more than a mile over beautiful rivers and lush forests. And don’t worry about your growling tummy–the tour includes both a snack break and a four-course gourmet treetop lunch! Zipquest is a true Choose Your Own Adventure activity. But no matter which you pick, you’ll get to experience the untouched beauty of Carver’s Falls in the Sandhills of North Carolina. For those with a bit of a time crunch, opt for the shorter Treetop Excursion. With 5 tree-to-tree zip lines that span two spiral staircases and one suspension bridge, it doesn’t skimp on excitement. The Waterfall Excursion lives up to its name, giving you a breathtaking view of Carver’s Falls. 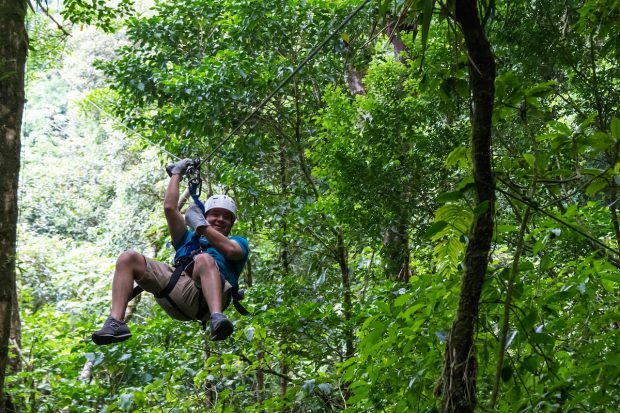 You’ll have to brave 8 tree-to-tree zip lines, 3 suspension bridges, and 3 spiral staircases to see it. And for the night owls, both of these excursions are offered at night. Cypress Valley Canopy Tours let you experience a bird’s-eye view of old-growth cypress trees while also being only 30 miles outside of Austin. 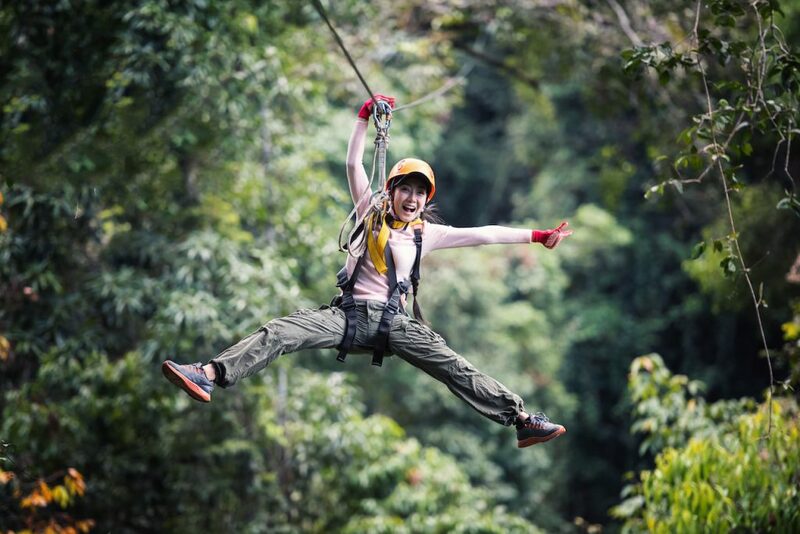 Experience nature in a whole new way as you soar through the air on 5 zip line spans and over 2 sky bridges. Your tour can last anywhere from 90 minutes to 2 hours. Along the way, your knowledgeable guide will fill you in on all of the info you need to know about the local ecology. After the tour, you’re invited to stay for a picnic or enjoy the property’s private pool and lake. The lake also includes a zip line and rope swing if you haven’t had enough adventure- weather permitting.